The SnowSaw - winter toys for everyone. Carve into snow. Winnipeg. Not just for blocks! Let your creativity burst out of you this winter. Make the snowfort of your dreams. Of course we've used the SnowSaw ourselves! What will your kids create? We see the potential for fun. We want to hear from you! 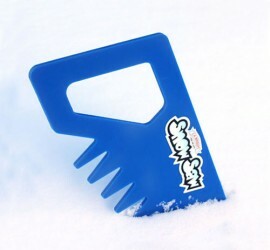 Tell us what you've built using the SnowSaw! Are you a retailer or toy distributor? Contact us to find out more about our great partnership opportunities. View some galleries of talented SnowSaw carvers hard at work! And send us pics of your work of snow art. The fun winter toy for everyone! Want to get outside on a cold day and just build? Ever want to make the BEST snow fort of your life? 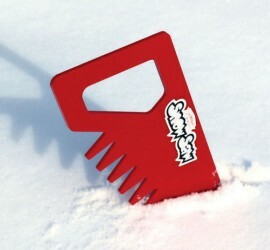 SnowSaw is your winter friend and the best snow carving tool for your family. Built from the same material as hockey boards this safe cutting tool glides through the snow and helps you create your masterpiece. 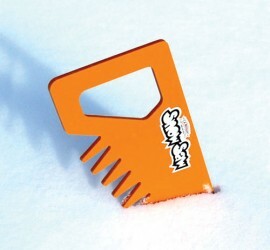 SnowSaws have high impact strength and abrasion-resistance (kid proof, they won’t break, seriously!). They are also moisture and stain resistant (they’ll last for a very, very, long time). The material’s durability and UV stabilization make it ideally suited for the rigors of any cold weather environment (they’ll look great long after your kids have moved out).